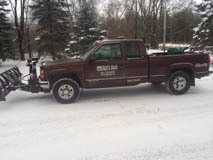 At White Bear Lawn and Snow, we take pride in our 24/7 snow removal services. 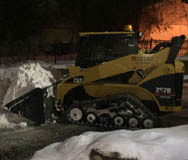 We have cutting edge equipment to get the job done right. 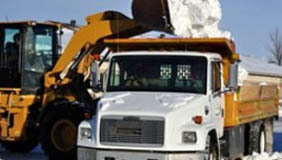 We take the worry out of even the worst Minnesota winter, keeping safety of not only you but your friends and employees our top priority. 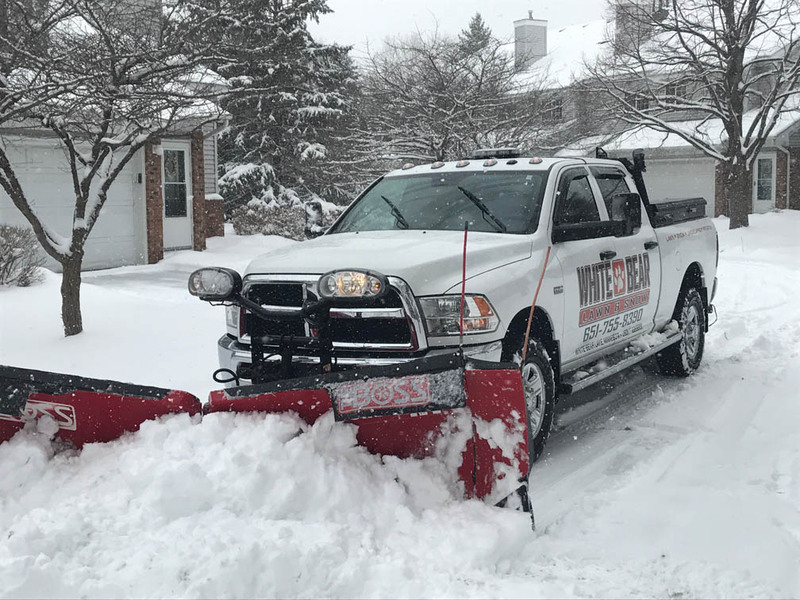 We'll clear your parking lots, roads, and sidewalks to make sure that heavy snow doesn't interfere with your business operations. Call White Bear Lawn and Snow. 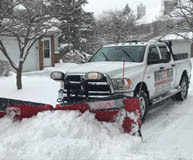 Don't let snow keep you stuck in your driveway. 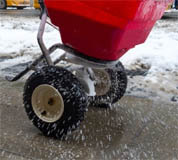 De-icing is usually accomplished by use of dry or liquid chemicals (various salts or brines, alcohols, glycols). Scoop it up and haul it away.